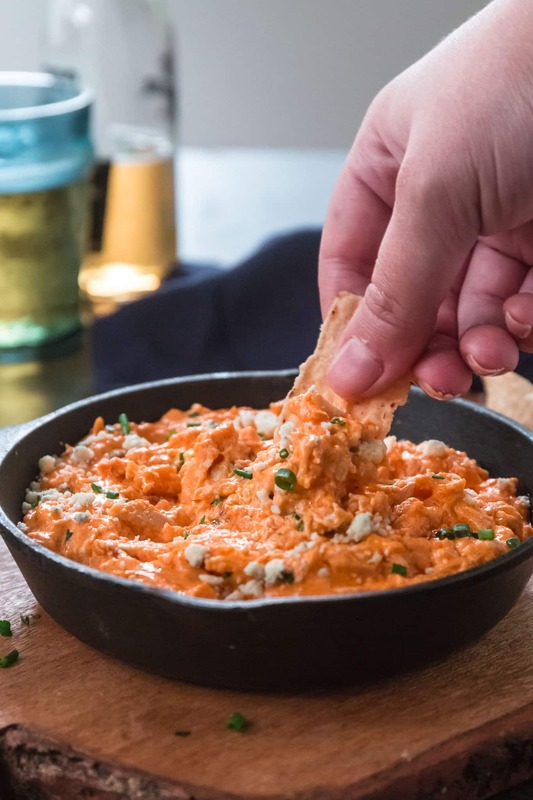 Get ready for football season with this easy and delicious Buffalo Chicken Dip! Made in the slow cooker and served hot along with Mission® Strips Tortilla Chips. What could be better than that? They are totally right, though. I really don’t! But I do love to cook, eat and host amazing get-togethers. And we Brazilians know a thing or two about throwing sports parties. So, every year, I have a few friends over for the big game day! And it’s always a blast! Everybody knows the food is just as important – if not more – as the game itself! Indulgent dips, pizza, finger food, you name it! No boring grub allowed! And, if there’s one flavor that is associated with football food, it’s buffalo! Usually in the form of Buffalo wings, but here, presented as a hot dip! Much easier, both to serve and to make. And guaranteed to be a hit at your football viewing party! It couldn’t be easier. 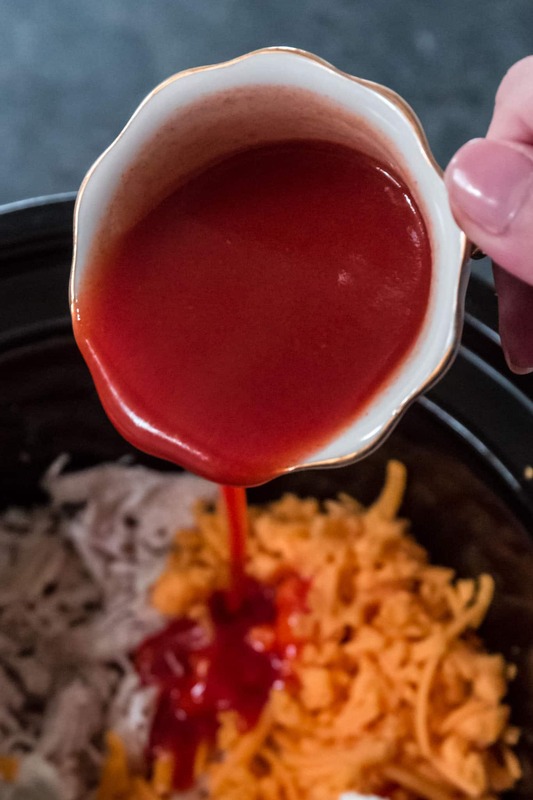 All you need are a few ingredients – chicken, hot or Buffalo sauce, ranch dressing, cream cheese, cheddar cheese and garlic powder – and a crockpot. Mix everything together and cook on LOW for 2 hours or until the cheese is melted. Then add toppings and serve! Easy peasy, right? However, after getting it not so perfect a few times, I now have a short list of recommendations! Make sure to cook it on low. You don’t want to overcook it, or the oil from the cheese will separate from the rest of the dish and you’ll have a greasy mess. Try to remember to take the cream cheese out of the fridge before mixing the ingredients. 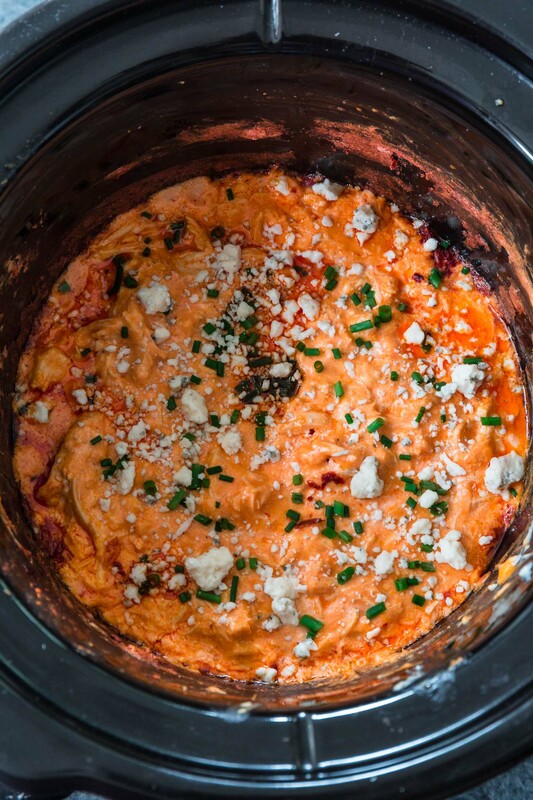 Softened cream cheese is easier to work with and ensures that the Buffalo chicken dip will be smooth and lump-free. If you forget to take your cream cheese out ahead of time, don’t fret! Just remove the foil wrap and pop it in the microwave for 15 to 20 seconds! Always, ALWAYS, use real cheese. Sorry to be a cheese snob, but imitation cheese has no space on this blog! You could certainly use pre-shredded cheese if you’re short on time, but grating a good quality cheese block is always a better call. A good time hack is to use rotisserie chicken instead of cooking chicken breasts. It’s convenient, yet still tasty and fresh. I’ve seen some recipes recommending canned chicken but that is a big no for me! Besides not being fresh and kinda gross-looking, the chicken can leach out liquid while heating, making the dip runny and watery. You can also bake this dip in a cast iron instead of cooking it in the slow cooker. Just combine all the ingredients in a 10-inch cast iron (or a baking dish) and bake at 350 degrees for about 10 minutes. Then stir, top with the remaining cheese and bake for another 5 – 10 minutes or until golden and bubbly. As I mentioned earlier, be careful not to overcook it so the oil doesn’t separate. One of the advantages of making this dip in the slow cooker is that you get to serve it as is, using the warm or low heat mode, keeping it hot during the party. Hot sauce or Buffalo wing sauce? Either will work. If you like spicier, use hot sauce. For a milder dip, use Buffalo wing sauce. Also, if you like spicy food, feel free to add more than what the recipe asks for. WHAT IS BUFFALO CHICKEN DIP SERVED WITH? This dip is traditionally served with crisp veggies, like celery and carrots, as well as crackers and/or tortilla chips. But, to be honest, I don’t even bother with the veggies anymore. Everybody always goes for the tortilla chips! And that’s because I don’t skimp on the cheap stuff. 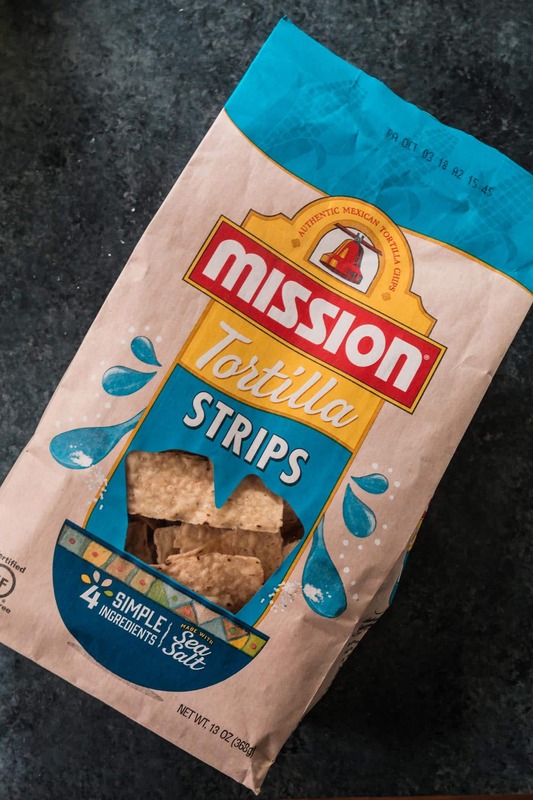 I go all in with one of my favorites: Mission® Strips Tortilla Chips. Their strips are great with this dip. They are sturdy, perfect for dipping, and made with four simple ingredients (one of them being sea salt)! The light salty flavor really makes them so delicious that I often can’t resist eating them right out of the bag. Oh, and they are certified gluten free too! If you haven’t tried them, I highly recommend you do. You can check their store locator and get more amazing recipes! 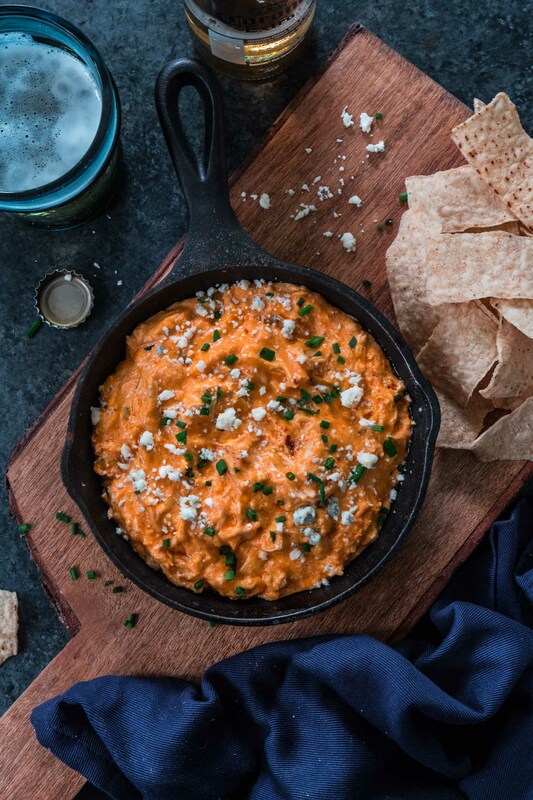 CAN I MAKE BUFFALO CHICKEN DIP AHEAD OF TIME? Yes. Cooked chicken is safe in the fridge for 3 to 4 days, so you can mix all the ingredients and keep the dip in the fridge for that amount of time, until it is time to transfer to the slow cooker or bake. I don’t recommend baking and reheating, as the dip can separate. CAN I FREEZE BUFFALO CHICKEN DIP? Truth be told, I’m not a fan of freezing cream cheese. The consistency changes and it gets less creamy and crumbly. So the answer is yes, but it won’t be the same. If you’re keen on freezing, do it after mixing the ingredients and before baking. You can freeze for up to 2 months in an airtight container and then thaw it in the fridge overnight before heating. That being said, if you have leftover buffalo chicken dip and the options are only freezing or throwing it out, go ahead and freeze. Then, defrost, reheat and eat your “not as good but still tasty” Buffalo chicken dip! 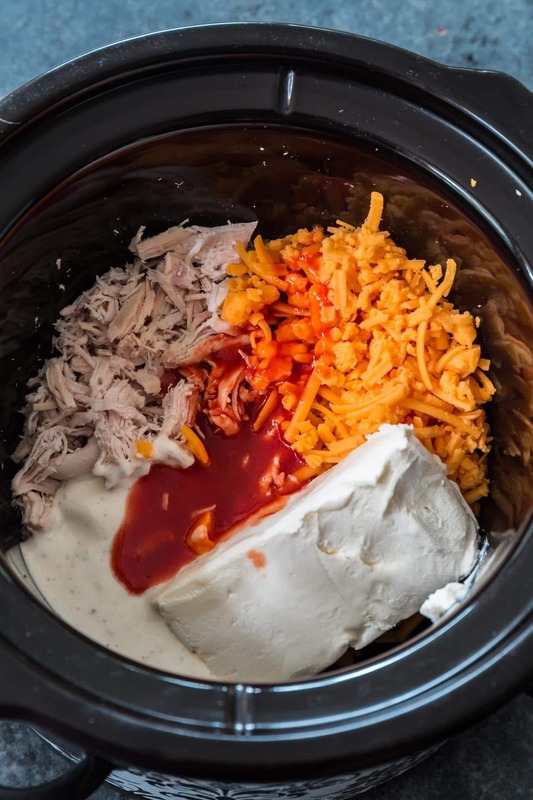 Combine the shredded chicken, cream cheese, hot sauce, ranch dressing, garlic powder and 2/3 of the cheddar cheese in the slow cooker (2qt or larger). Cook on LOW for 1.5 hours, then stir and add the remaining cheese. Cover and cook for 30 more minutes or until hot and bubbly. 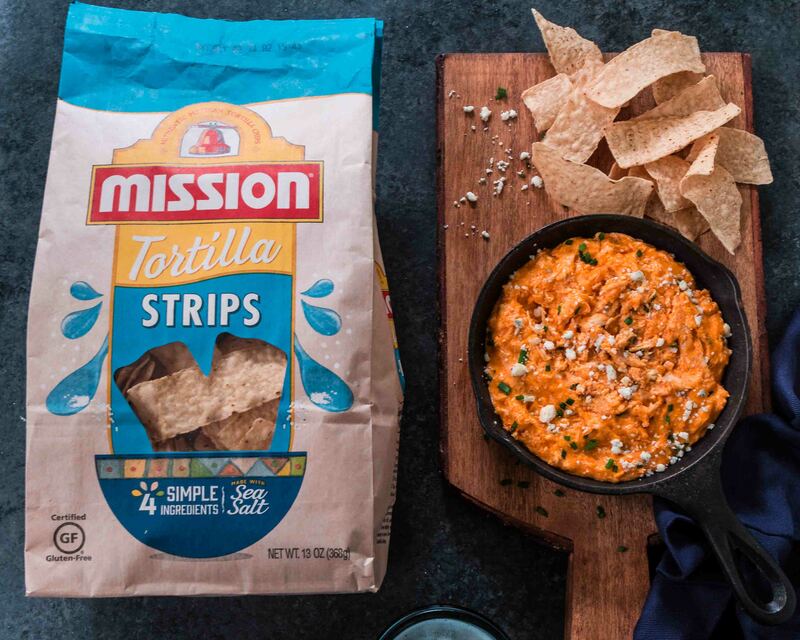 Top with the chives and crumbled blue cheese and serve with Mission® Strips Tortilla Chips. - Use hot sauce for a spicier dip. If you prefer mild, use a good Buffalo wing sauce. - If you don’t like ranch, you can substitute an equal amount of blue cheese dressing. - For other tips and hacks, please refer to the post above! Oh my, this is so good it’s almost sinful. But I love it! More recipes please!